Mystery Science Theater 3000, Season 12, Episode 2: "Atlantic Rim"
When I worked at Blockbuster Video way back when, I certainly saw my fair share of crappy direct-to-video releases. However, it wasn't until I'd moved on to other jobs that a powerhouse of truly wretched films -- so-called "mockbusters" -- truly started pumping out films. That company is the Asylum and I'm sure if you've ever walked through a video rental store on a bored Tuesday night, or flipped through the multitude of crappy offerings Netflix can provide, you've attempted to watch at least one Asylum film. And they are all, without a doubt, terrible. The obvious theory behind an Asylum movie is to take a property people like -- for an example, Pacific Rim -- and then make a film for which the cover/poster can look vaguely like the real thing and, thus, lure people into spending money on a movie they never would have seen otherwise, all to make a quick buck. I've attempted to watch any number of these mockbusters, from Hansel v. Gretel (copying Hansel and Gretel: Witch Hunters) to Avengers: Grimm (Marvel's Avengers), and not once have I actually managed to make it through one of their films. 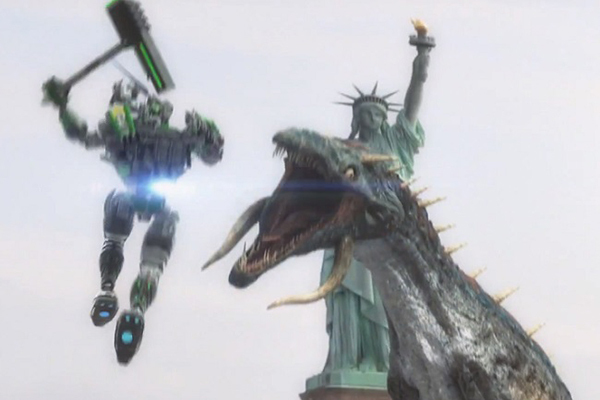 It's a testament to Mystery Science Theater 3000 that they were able to make an episode that I could actually sit through from an Asylum film: the Pacific Rim rip-off, Atlantic Rim. Now, I want it to be clear that I've sat through plenty of truly awful movies, many of which I did just for fun and not for any specific purpose (like writing an article for this site). I've seen more than my fair share of Scary Movie films, Super Ex-Girlfriends, and the like. Many a bad movie has had its charms, and you can always enjoy the fact that the producers at least tried, or were in on the joke, or something. Asylum movies have all been worse than that. There's a low-bar for watchable bad movies, and invariably the Asylum has managed to limbo under that bar like a flexible dancer on roller skates. I know the company has it's fans, mostly on the back of the Sharknado series, but I am not one of them (and I also refuse to watch those movies because of the company attached to them). So when I say that I actually made it through an Asylum movie, Atlantic Rim, because of the MST3K team, you'll understand my shock on the matter. 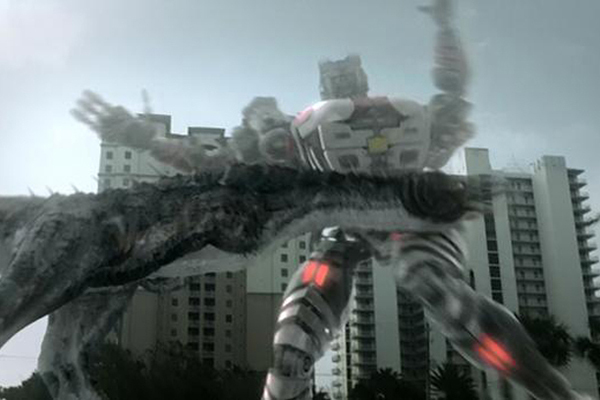 Yes, Atlantic Rim is just as bad as I expected -- it's a movie made on the thinnest of budgets attempting a Mech vs. Monster movie with results that make the first season of Power Rangers look good by comparison. By a certain point in the film I was numbed to what I was watching, just letting the awfulness of it wash over me until the next joke from the MST3K guys came along. I couldn't care about what was happening because the producers certainly hadn't either. The movie itself (if we want to be charitable and call it a "movie") has to do with monster eggs that incubate in crude oil. Then an oil rig wakes them up right around the time three NASA-funded military mechs (right, since NASA is known for it's military applications) are on a training mission. 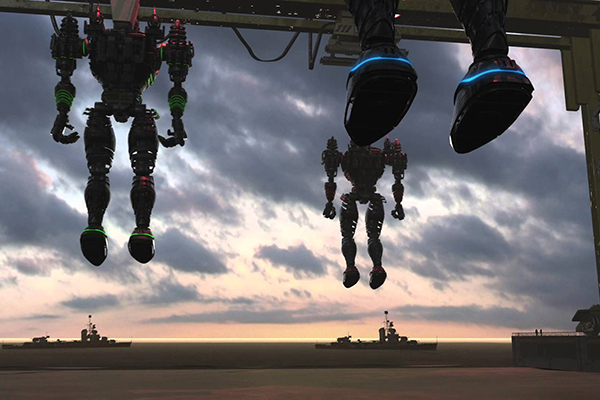 So the mechs have to battle the monsters, one at a time, until the world is saved. Also, Mardi Gras is going on for reasons (presumably because it was cheap to film in New Orleans at the time), and there's some plot line between the characters about one of them being a jerk and the other two having a fling on the sly. It's not really worth getting invested in any of that, though, since the movie never actually resolves any of it -- these are things tat just happen and then get dropped by the time the credits roll. If we were watching a real movie, I'd have to harp on the acting. Really, calling it acting is being nice since it's mostly people just reciting lines and occasionally trying to emote. The rare moments of good acting actually stand out in the film, and it usually comes from side characters and overqualified extras that deserve to be in much better movies than Atlantic Rim. None of the three leads are able to sell the material they're giving (which might have actually helped the movie otherwise), ad you never actually care about anything they do or say because they aren't real people in any way. They exist, and fill time, and then stuff happens. Worse, though, is that the action in and around all the bad acting is just as terrible. The movie, of course, had no budget during filming. When it comes to horror, low-budgets productions can thrive because you don't need a lot of effects to sell a slasher killer or a vampire stalker -- throw around some red Karo syrup, slap a bit of makeup on the actors, and watch them work. But this is supposed to be a sci-fi action movie, and the film does this via shots of bad CGI in an amongst a lot of establishing shots inside mechs. And we'll spend a lot of time in the mech cockpit sets since the film couldn't afford much in the way of CGI. Not that the CGI we actually get is all the great -- the film honestly would have been better off shoving stunt men in rubber suits since the quality of the CGI is about the same. It's just... so sad. But hey, that's what MST3K is for. While I can appreciate the comedians taking on a movie like Mac and Me, one that had a budget, and tried to be a real movie, but failed spectacularly. 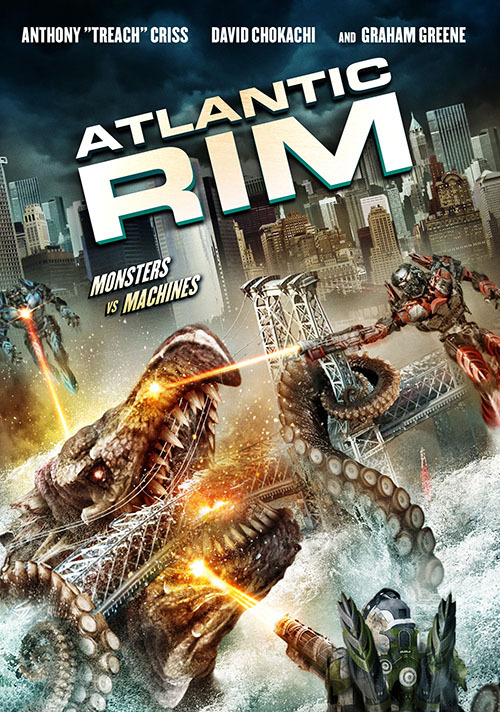 But the real magic of MST3K comes from them taking on a movie like Atlantic Rim, a film that never should have existed, that the producers made not for artistic quality or to tell a genuine story but because they had $15 to turn into a "film" and knew they could dupe people into watching it with the right cover art. This movie deserved to be mocked by Jonah and the bots. And yes, there is a lot of good material in the movie for the guys to mock. Sure the jokes, songs, and asides are great because these guys are pros. But the true majesty of the material comes from the guys having to watch the movie and parse the story, to makes sense of the insensible. Thing just happen in this film for reasons and the guys get to laugh and mock and act shocked from everything that happens. Their reactions to the material is often better than them just throwing out random one-liners or singing along to a random tune that pops into their head. The Atlantic Rim episode also features a couple of really good sketches. The invention exchange, featuring the Inflatable Air-Dancer Organ and Supposi-Stories, was brilliant and hilarious (Patton Oswald really sells the material he's given). But I think the highlight for me was the song Jonah and the bots are forced to sing -- the new season needs a breakaway pop hit, so the guys have to make one up on the fly. It's awful, and stupid, and makes no sense ad then suddenly because total magic. Usually I don't like the sketches as much as the main movie riffing, but this episode really brings the top material to all the bits. While the Mac and Me episode had great riffing, I think span class="tilt">Atlantic Rim is the better over-all episode of MST3K. The movie is nigh-unwatchable, but the guys make for an excellent episode of Netflix streaming.